From Cynthia West: As an event designer, I wanted to create a look of elegance using a fun yet romantic color palette hosting hues that are often overlooked when planning a wedding. Highlighting soft yellows, pops of mustards and enchanting neutrals, this inspiration is a fresh breath of air. Hacienda de las Flores is a hidden gem hosting the perfect setting for whimsical romance and that's exactly what this styled shoot exudes. Upon entering the grounds, you're greeted with lush green lawns and an abundance of beautiful blooms. Lavish ivy graces the walls of the Pavilion creating a dreamy location to say "I Do". With event design created to highlight the already beautiful location, I wanted to elevate the look and feel with sophisticated accent pieces. A perfectly dressed table featuring tableware provided by France Lane, hosted dainty yet charming details and adds elegance to the soft watercolor linen. 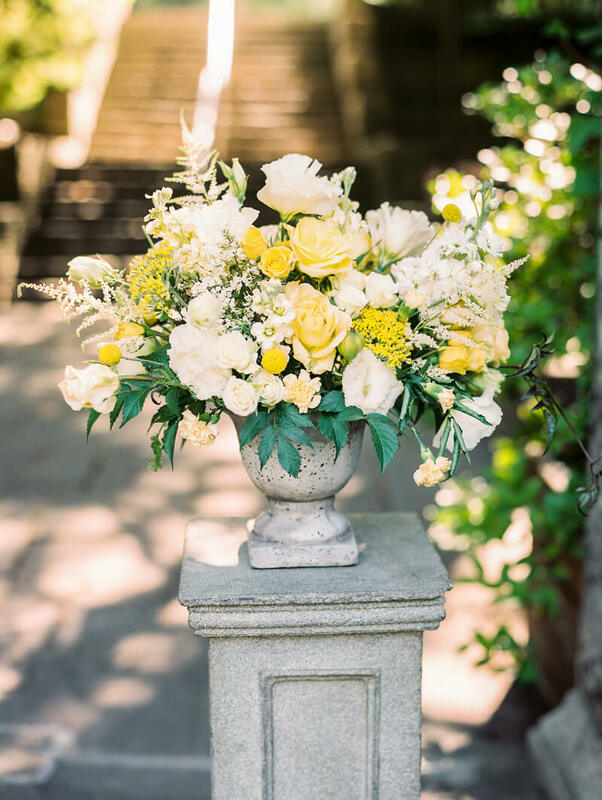 Lavish yellow blooms created by Calla Hill SF were the perfect addition to elevate the look. 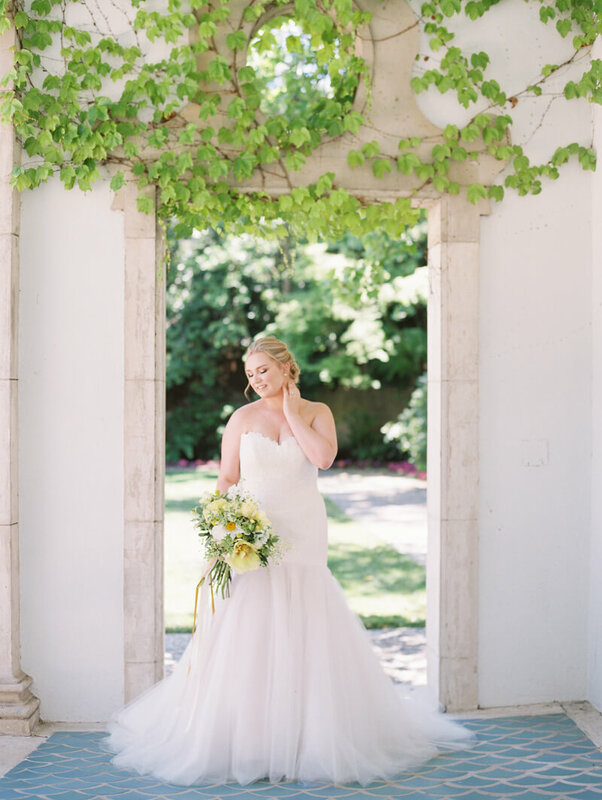 The stunning Bride to be wore a one of a kind gown provided by Lace and Bustle with romantic accents and a grand tulle train giving the most dreamy outcome. We completed her look with a soft updo, natural golden tones in her makeup and a glamorous bouquet featuring luxurious blooms with ivory, pops of mustard and soft tones of yellow.